This week we celebrated the work that ShelterBox Australia makes toward relieving suffering and building hope in the face of natural disasters and conflict. 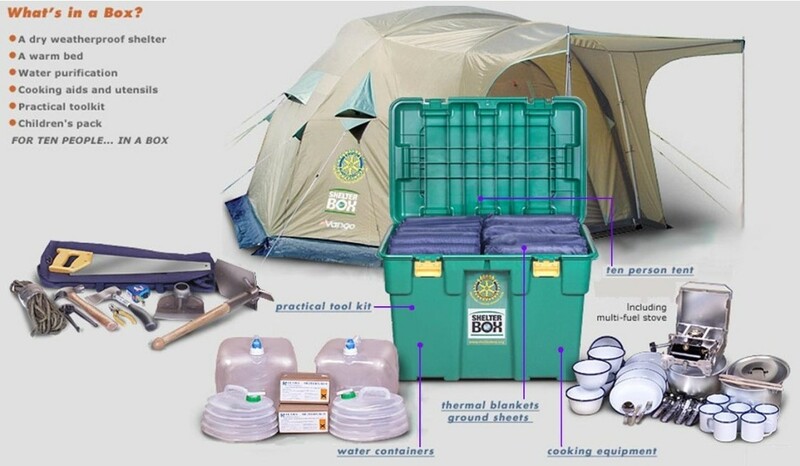 ShelterBox is a Rotary International endorsed program that operates with the support of Rotary Clubs and indivual Rotarians who contribute financially and as members of the teams who distribute the shelterboxes. So here is a snapshot of what is in a box - the necessities to provide shelter in the short term and to support the rebuilding of lives that have been disrupted by natural disasters and conflict.. 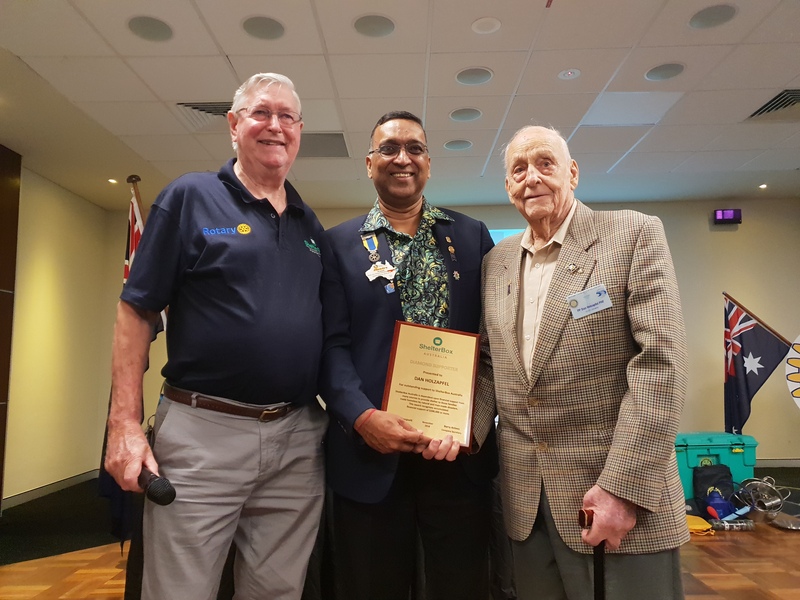 The Rotary Club of Cleveland was proud to see Rotarian Dan Holzapfel recognised as a Diamond Supporter of ShelterBox Australia. A humble and generous man, Dan Holzapfel has contributed in many ways through Rotary International to building better and more peaceful communities. Those communities thank you Dan for the way in which you care about others and your generosity.